Sixpence 1954 wine Stopper, with a vintage coin makes this bottle stopper a perfect gift for a 65th Birthdays or Anniversaries. 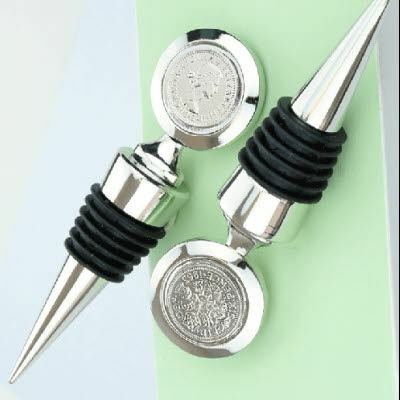 The 1954 wine stopper features a coin on each side. One side displays a head, and the other the tail.